Not gonna lie, sometimes it's nice to just throw on a dress, do very little to the outfit, and still have that wow factor. It certainly helps when I have an awesome looking dress to do the work for me, like this Future Perfect fit and flare dress by Yoana Baraschi. I love the black and white (pretty much all I've been wearing lately if you notice), the abstract snake print, the dropwaist silhouette, and the comfy yet structural neoprene material. 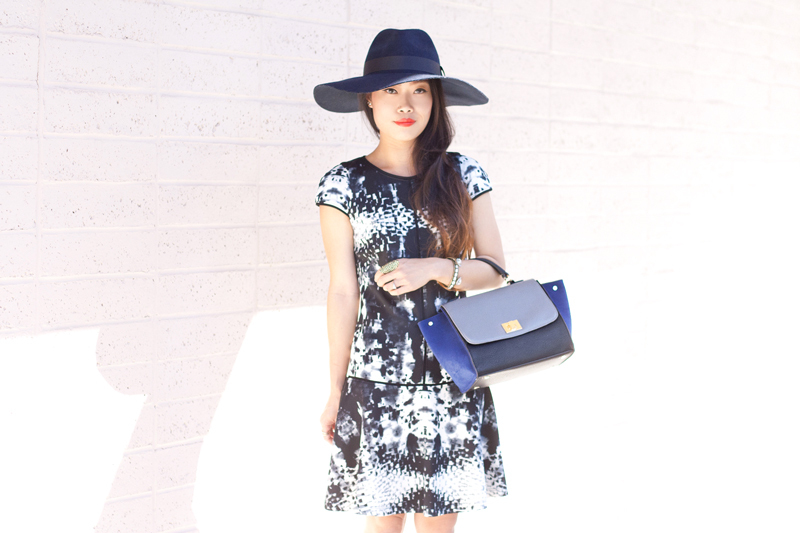 I added a touch of blue to my look with a colorblock satchel from Sole Society, a navy wide brim wool fedora from Mu Du London and a pair of strappy heels. 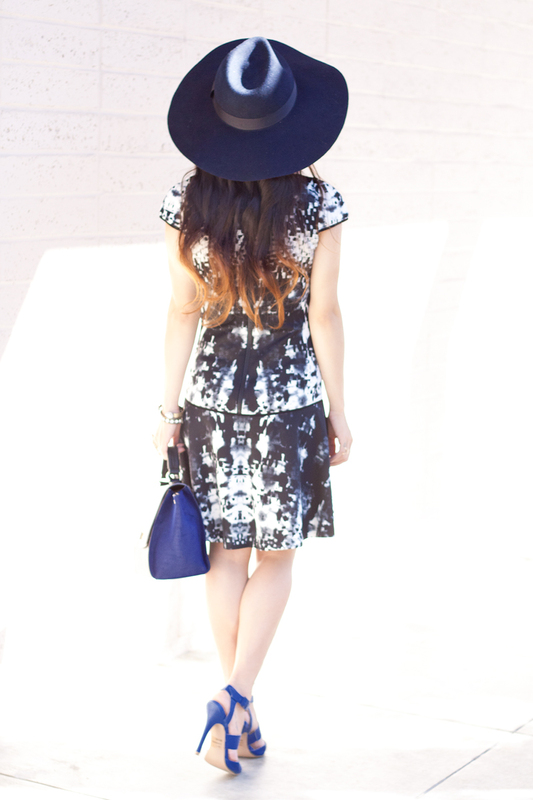 Future Perfect fit and flare dress c/o Yoana Baraschi. 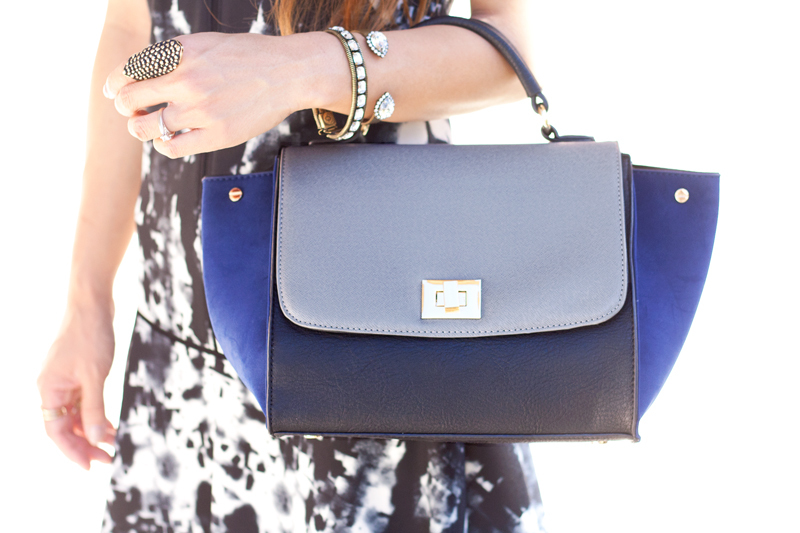 Laney colorblock structured satchel c/o Sole Society. This fashion style is amazing!! 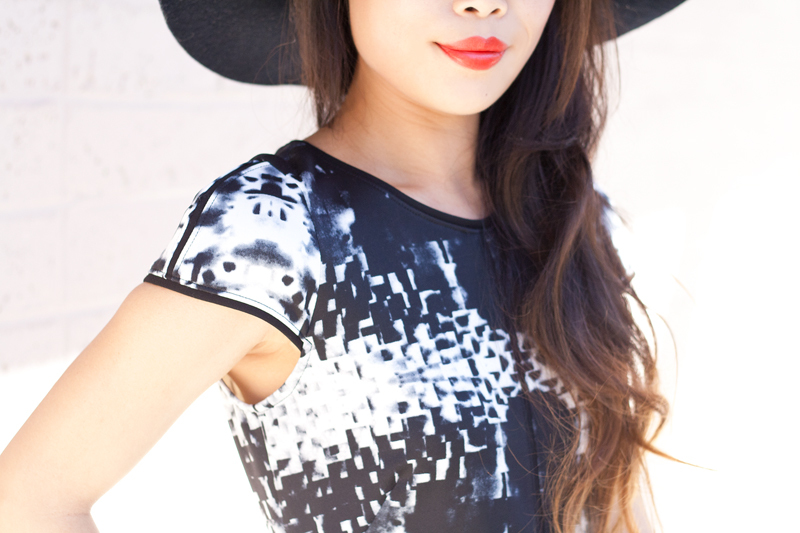 Love the incredible Fedora that goes above the head. It looks awesome and splendid. Love the complete style that looks all the more personalised for an individual!! 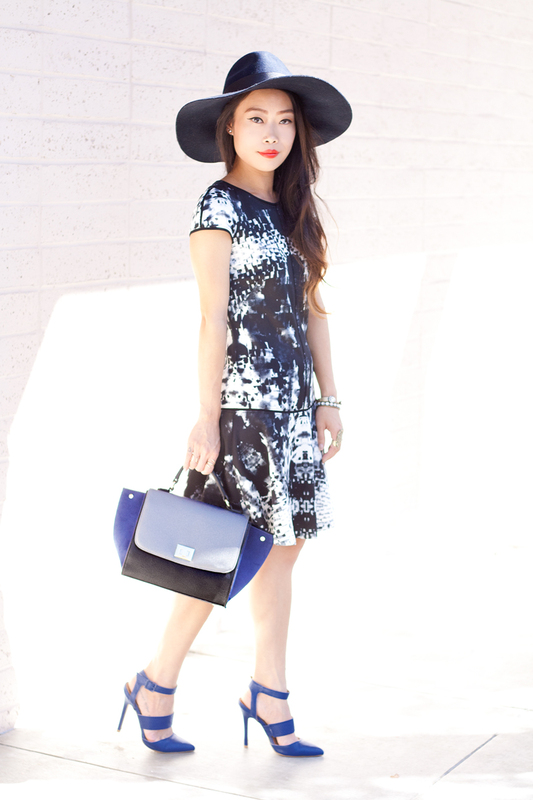 This is definitely a statement dress! I love the cool print and neat silhouette. Those blue heels are wonderful with it too. Dresses like this make it so easy to get dressed quickly in the morning and still look great.